Over the last twelve months there has been a rapidly growing initiative across the fitness and bodybuilding industry called Mental Health Muscle. It is a movement founded by Aaron Clark which aims to use the gym to support individuals suffering with mental health issues whilst bringing local communities together. I met up with Aaron to find out a bit more. Where does your passion for fitness and the gym stem from? I have always been heavily involved in fitness through my sports degree, competitive rugby or just my personal body building. After leaving University I worked with young people and vulnerable communities predominantly as a community support officer through schemes backed by the Princes Trust. This gave me the opportunity to apply my love of sport and the outdoors to rehabilitation programs for young people. Three years ago, my wife and I moved to Devon and I was determined to establish a project which combined my love of fitness and the gym with my passion for supporting young people, particularly those with mental health issues. What was the original idea behind Mental Health Muscle? My first thought was simply to try and get ten people training and talking together at my local gym. I thought we could lift some weights, throw some chalk around, a few pats on the back but also open up a little about our mental health. I just wanted to see what the vibe would be like. If I’m honest I had no idea whether it would work, I just wanted to support people with mental health issues and educate people in the community but use the gym and weight lifting as the driving engine. The feedback from that first gathering was so positive that I immediately started refining the concept and planning our next formal event with a few others. We knew the principle was to raise awareness but also to raise money that we could use to help support people in the local area who were struggling with their mental health. We held our first organised event in my local gym and incorporated in-house competitions, seminars, workshops and t-shirt sales. I expected twenty or so people but over one hundred turned up. People were so grateful and so emotional, opening up to each other because they sensed the event and the community could make a huge difference to their lives. From that day I knew we were creating something that the gym community really needed. Nine months later and we’ve over 5,000 followers on instagram, are selling t-shirts all over the world and Mental Health Muscle crew groups are being established across the country. The events raise awareness and money, so how do you reinvest the money? Our vision has always been to use the driving engine of the gym to create change and improve interactions between people. Any money we raise goes back into Mental Health Muscle to purchase gym memberships for people who have expressed a desire to be in the gym but need financial, community or mental health support. We often identify the really vulnerable through our events. The conversations we have at those events gives them the confidence to step out and admit they are struggling but can’t do anything about it. We chat to them, work out which gym could help them and we go from there. In the first nine months, we’ve been able to fund a collection of individuals who require our support with local gym memberships and access. How do you support your members once they are sponsored? If we have sponsored an athlete‘s gym membership, we will have regular check-ins with them on the phone or via Facetime to get a sense of how their training is progressing and how their mental health is. We often have strong connections with the gyms they are using, so we can monitor their progress that way too. We also organise regular Meet and Eat sessions across the country. These bring local groups together firstly in the gym for a training session, but afterwards we all go for some food together. It helps create an environment where people feel comfortable opening up and talking about their mental health. We plan to open a facebook forum in the near future where the registered gyms and members can talk online and support each other. I hope this will move the mental health conversation out of one to one chats on instagram and into a more supportive, group environment. What are the mental health issues you often see within the gym and particularly bodybuilders? There are two quite different groups in the gyms; on one side you have general fitness goers who are using strength or weight training as a way of keeping in good physical shape because it contributes to a healthy mind and sense of well being. However, the more extreme side are the competitive bodybuilders and there can be complications associated with that sport. They can include reliance on performance enhancing drugs, eating disorders, body image issues and low self-esteem often triggered by constant physical comparisons. The pressure on a competitive body builder is enormous and that’s where the mental health issues often stem from. You can spend 16 weeks dedicating your whole life to the gym in preparation for an event, often surrounded by people telling you what great shape you are in. Then when you compete and don’t win, you could perceive it as not being good enough. The emotional decline that causes, combined with a reduction in training or supplements can lead to a whole pocket of mental health issues. It will be different in each gym but again there are two divisions. There are people like me who trained as a bodybuilder but don’t compete, so are more involved and interested in the community and social side of fitness. However once you are competing, you are no longer in the gym just to have fun. You are trying to be the best you can be and that can change people. Some professionals can cope with that transition and be exactly the same person when they were there just to chat, lift weights and have a laugh. Others struggle to cope with the pressure, the drive of fellow athletes and the mental come down after an event. Do you believe the increase of gym and Instagram selfies are damaging people’s mental health? Absolutely. They can be inspiring but are also hugely damaging and that’s why we incorporate social media workshops into our events. A lot of body confidence and body image issues stem from social media particularly in young people. These images tell a lot of vulnerable people that physical perfection exists and if you use this product or try this technique you can achieve it. Perfection doesn’t exist. Discovering your own identity is so important, but when you create an identity based on something that is unachievable, you are destined for disappointment. We try and help people realise that the reason they may be experiencing mental health difficulties, is because perhaps they have not got a control or stability on social media. They have the ability to take back that control but only once they realise what damage it is doing to them. We are starting to build relationships with relevant brands and high profile athletes which will really help the cause. 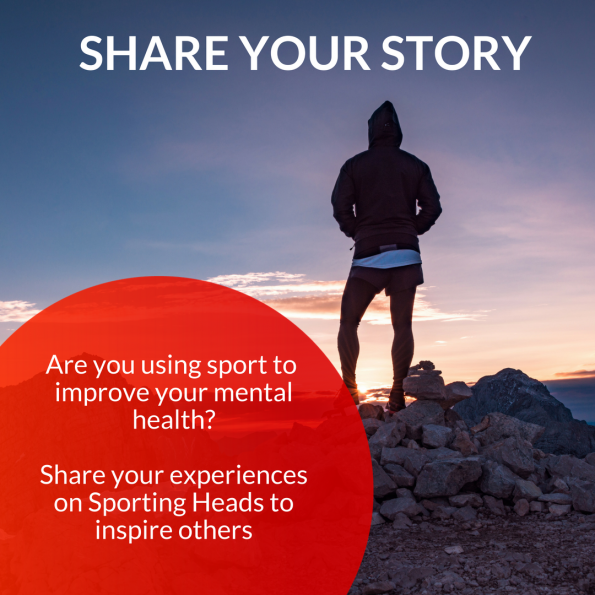 At our recent event in Leeds we had representatives from Muscle Food, Project AD & Strom Sports which was fantastic, but it is the high profile personal experiences that have the most impact. We had a national power lifting coach sharing his thoughts on mindset and sleep deprivation. One of the UK’s most published fitness models talked openly about her mental health struggles and squat world record holder Joshua Greenfield shared how power lifting changed his life and had such a powerful impact. These are well known athletes and idols to many gym goers openly talking about their struggles. When role models open up about their mental health to an audience of nearly 500, it can have an incredible impact on people. We will continue to build these events, grow our community and sponsor those we feel need our help. The workshops have been very emotional events and therefore not appropriate for children, so I am also developing some emotional resilience training with young people. These will focus less on mental health and more on how we feel and how we control our emotions. We have all seen the statistics around mental health and suicide among young men. In my local community four young men between the ages of 18 and 22 have recently taken their own lives. All too often I hear someone say there’s nothing else for me and that breaks my heart. We want to create an environment where people feel there is an alternative – somewhere and someone to turn to. We recognise that we can’t do this on our own, so Mental Health Muscle has to be about the power of people and the power of a supportive community. We will continue to use the gym as the positive driving force behind it.